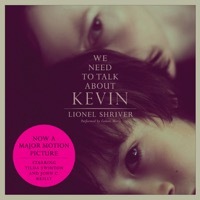 A suspenseful and gripping psychological thriller, Lynne Ramsay's WE NEED TO TALK ABOUT KEVIN explores the fractious relationship between a mother and her evil son. Tilda Swinton, in a bracing, tour-de-force performance, plays the mother, Eva, as she contends for 15 years with the increasing malevolence of her first-born child, Kevin (Ezra Miller). Based on the best-selling novel of the same name, WE NEED TO TALK ABOUT KEVIN explores nature vs. nurture on a whole new level as Eva's own culpability is measured against Kevin's innate evilness. Ramsay's masterful storytelling simultaneously combines a provocative moral ambiguity with a satisfying and compelling narrative, which builds to a chilling, unforgettable climax. Acting doesn't get much better than the subtly brilliant display put on by Tilda Swinton in We Need to Talk About Kevin. The film's bluntness doesn't diminish the power of the nature-versus-nurture questions Eva's asking herself. Or of Swinton's harrowing portrait of parental guilt. This thoroughly well-crafted, if rigidly conceived film could use a little more talking -- at least some therapy! -- about Kevin. The narrative strategy amounts to little more than film-school strenuousness, and in the end it can't conceal the movie's essential crudeness - its coarse, artless dialogue, blank character writing and intellectual vacuity.